The Community Food Pantry, located behind the Community Church at 10441 Main Street, serves our neighbors in need across western Vilas County. Food is distributed each Thursday. Hours alternate between mornings and afternoons. To view the schedule,click on the Food Pantry Calendar link. Clients may use the pantry twice per month. Names are kept confidential. A simple form must be filled out and home address provided. Foods are selected based on federal nutrition guidelines. 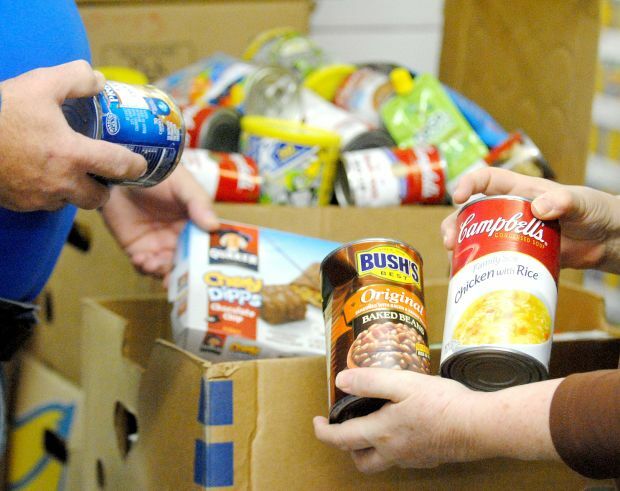 The food pantry accepts non-perishable food donations. No outdated products can be accepted. Donated food may be placed in the coat room of The Community Church, just inside the rear entrance. Open 24/7. The food pantry accepts second-hand clothing for distribution. Clothing must be clean and in good repair. Winter and summer wear is needed, especially men’s sizes. Donations may be placed inside the little shed adjacent to the main pantry building. Donations are always welcome because the food pantry can purchase foods at a very low rate from Second Harvest/Feeding America and other outlets. Operating under the auspices of The Community Church of Boulder Junction, The Community Food Pantry qualifies as a charitable entity under 501c3 tax guidelines. Cash donations to the food pantry are deductible for federal income tax purposes. The waiting room will be open 15 minutes before the Pantry opens. You may come to the pantry once every two weeks.